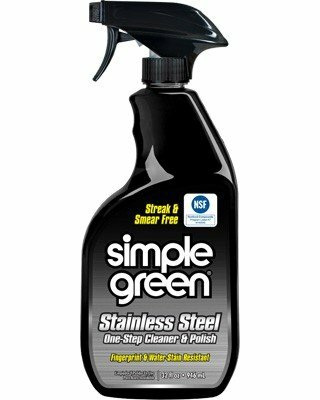 Quickly and safely maintain stainless steel, chrome and other metal surfaces and appliances with this one-step cleaner and polish. The non-toxic formula easily and quickly removes fingerprints, water marks, food stains and grease, restoring luster and shine. Advanced polymer technology creates a barrier that helps resist future dust, marks and smudges, keeping your metal looking cleaner longer.